Pennsylvania is facing a $1.7 billion annual shortfall in funding for roads, bridges and mass transit. The only thing worse than the deficit is the proposed “solution” to this shortfall: higher gas taxes, higher income taxes, higher sales taxes, higher realty taxes and higher vehicle fees. We’re told if taxes are not raised, Pennsylvania’s roads will only get more congested, less safe and mobility will continue to suffer. But are higher taxes and fees really the only solution to Pennsylvania’s transportation funding crisis? The best solution is the global trend of public-private partnerships, or P3s, which have gotten a lot of publicity recently because of the possible lease of the Pennsylvania Turnpike. But these partnerships aren’t new. Some two dozen states have passed legislation enabling P3s, whereby governments partner with private-sector companies to provide public goods and services. States like Indiana, Georgia and Texas have largely centered their transportation policy on the utilization of these partnerships. And the U.S. Department of Transportation just released model legislation showing states how to properly write their public-private partnership laws. 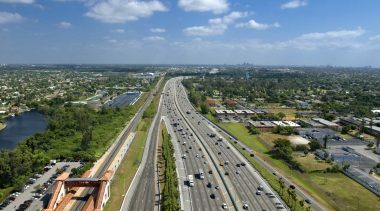 The discussion over a possible turnpike lease is part of a larger trend beginning to sweep across the nation, as global capital markets discover the potential of investing in highways and governments discover a new revenue source that can finance neglected transportation needs. In 2005, two high-profile deals caught the attention of policy makers around the country: the city of Chicago leased the 8-mile Chicago Skyway for almost $2 billion and the state of Indiana leased the 157-mile Indiana Toll Road for $3.85 billion. In both cases, the company is responsible for maintaining and operating the road and facilities. Ownership, however, remains with the government, and a very detailed concession agreement, or contract, protects the public interest. Indeed, the contract even sets toll rates and possible increases. Furthermore, the contracts establish well-defined performance levels that the private companies are required to meet. If they fail to do so, the companies face penalties, fines and the potential voiding of the contract. These agreements also dictate everything from future maintenance and road condition expectations to the time it takes to remove road kill. In many cases, these standards far exceed the standards of government-run roads. From the risk perspective, perhaps the most important aspect, is the state’s ability to terminate the contract at any time. The agreement between the public and private partners establishes concise conditions under which the government can revoke the lease and resume operations of the road should the contractor fail to fulfill the contract obligations. In that event the state keeps the upfront concession payment — billions of dollars in the case of the Chicago Skyway and the Indiana Toll Road and all risk is borne by the private contractor, not the taxpayers. Additionally, the contractor in both Chicago and Indiana reimburse the taxpayers for law enforcement activities on the highways. Since the state no longer has to pay for policing these roads, the deal equals millions in direct cost savings to the budget over time. In Chicago, private management has reduced traffic congestion and improved customer service. Customer satisfaction levels have risen, and the contractor, Cintra-Macquarie, has added reversible lanes to accommodate peak demand during rush hours. Electronic toll collection was rolled out in record time — saving commuters time and relieving them of the hassle of searching for change. While the Indiana lease agreement was only recently closed in early 2006, state officials are ecstatic about earning $6 of interest per second. Those funds are dedicated to funding future transportation projects in the Hoosier State. 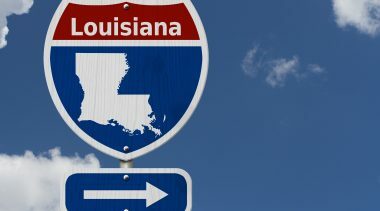 In addition, the contractor has pledged to spend approximately $4.4 billion in toll road improvements over the term of the contract, with more than $200 million spent in the first three years of the deal. Perhaps one of the most important benefits will be the creation of at least 130,000 new jobs from the deal. The agreement mandates the contractor hire Hoosiers first and “Buy Indiana” for 90 percent of its purchases. Indiana officials are so happy with the deal that they are currently seeking two new P3s in the state. Given the budget deficits and Pennsylvania Turnpike’s size and potential value, the state should certainly examine the lease possibilities. There are other possibilities that deserve exploring as well. For Pittsburgh, a P3 could complete the stalled Mon-Fayette Expressway with private capital and in a shorter time frame. 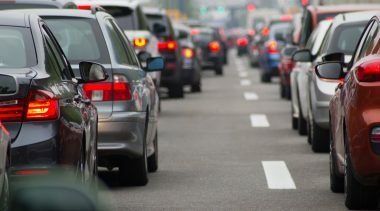 Philadelphia residents could see innovations to help ease congestion brought to the Schuylkill Expressway, perhaps a double-deck approach similar to that of the expressway in Tampa, Fla. The choice is clear. In this case, business as usual will result in higher taxes and less mobility. Embracing P3s puts the commonwealth on a new path with new sources of capital that don’t further burden the taxpayers of Pennsylvania. P3s, when done right, can adequately fund the commonwealth’s transportation needs without raising taxes or fees. There is little doubt that Pennsylvania’s transportation system needs significant investment and improvement and the state doesn’t have the money to adequately address them. 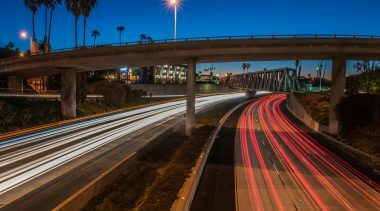 Public-private partnerships are vital to the overall success and development of the state’s much-needed transportation infrastructure and transit systems. Private capital markets are standing at Pennsylvania’s borders willing to help the state solve its transportation funding problems. It’s time for lawmakers to welcome them in. Geoffrey F. Segal is the director of government reform at the Reason Foundation and an adjunct scholar at the Commonwealth Foundation in Harrisburg, PA. An archive of Segal’s work is here, and Reason’s transportation research and commentary is here.